NELSON, BC/Troy Media - Paradise, Canadian style, is uniquely rugged: long summer days travelling endless twisty roads surrounded by jagged mountain beauty, ice-cold deep blue lakes and evergreen trees. The magically isolated Kootenay Region of south-central British Columbia does Canadian paradise particularly well. The tiny, laid-back city of Nelson is the natural home base for cyclists and motorcyclists who travel from around the world to do the memorable rides. And because it’s a six-hour drive from both Calgary and Vancouver, even peak summer season is busy but never overrun. There is always room to stretch out and enjoy the natural charms of the area. Flying in to nearby Castlegar is the quickest way to get there, but then you’d miss the astonishingly scenic drive en route along B.C.’s secondary highways. And, if you want to ride a motorcycle, you have to bring your own because local rentals are no longer available. A great place to start your tour is in the heart of Nelson in the historic Hume Hotel. Recently renovated, this century-old hotel is close to the restaurants and shops of Baker Street. Guests can enjoy quality dining in the cozy library on the main floor or dance late into the night in the basement Spiritbar. Nelson’s isolation makes it a much bigger town than its population of 10,000 happy souls suggests. It has satellite campuses for several universities and colleges, a variety of boutiques and outdoor shops, two local craft breweries, fine dining and a lively bar scene—and yet it takes just minutes to travel from one end to the other. All roads lead from here as well. We’ve chosen a favourite—the 215-kilometre route that circles the Kokanee Glacier. The ride can be done in 2½ hours of constant driving but is best savoured over the course of a full day. It is an experience that by turns delivers heart-stopping hairpin turns, mesmerizing scenery and quaint towns that are living mementoes to the area’s mining history. 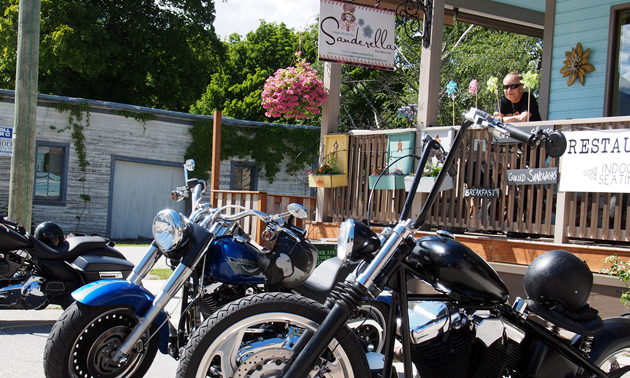 Heading east out of Nelson on route 3A, our first stop is a hidden shop called Kootenay Motorcycle Art. We’re greeted by owner/artist Robbie Kerr, who eventually settled in Nelson after fleeing the cold and dreary weather of his native Glasgow, Scotland. 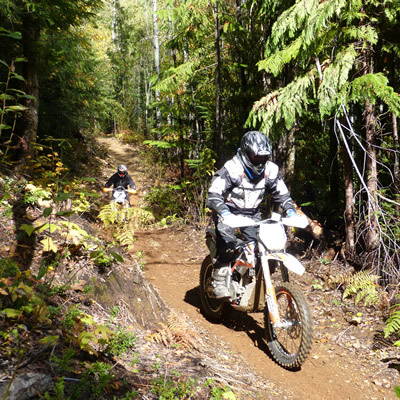 After immigrating to Canada in 2000, he chose the West Kootenay as his home in 2006 and started his custom motorcycle business. The motorcycle garage at his home is filled with his unique creations, outrageously styled motorcycles mostly powered by souped-up Harley Davidson engines. Each design has catchy names like Glasgow Kiss, Millennium Bobber and Street Fighter. Kerr lends me one of his bikes, and we thunder out together with my wife clinging tightly to my back. As we bend north onto Route 31, our first stop is the Ainsworth Hot Springs Resort just above the west shore of Kootenay Lake. Non-hotel guests are able to pay a small fee to dip in a pool attached to the hot springs and explore the natural rock caves. It’s a refreshing start to the day. 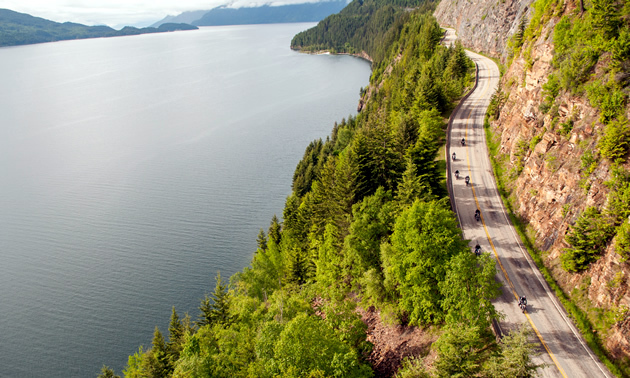 The drive up the Balfour-Kaslo-Galena Bay Highway traces the lake’s shore and is full of twists and turns. Forty minutes up the road, we arrive at the historic town of Kaslo. Many of the original wood frame structures endure from the town’s mid-19th century founding days. We stop at the backyard patio at the BlueBelle Bistro & Beanery for some contemporary fusion cuisine, then head over to tour the S.S. Moyie, an 1898-vintage CP steam-driven sternwheeler that plied area waters until 1957. This is the world’s oldest intact sternwheeler, rescued and restored by area volunteers. Route 31 continues north on a multi-day loop, but we choose instead to head west on route 31A through a pass that will take us to Slocan Lake. Two-thirds of the way there, we come across the road to Sandon—one of B.C.’s authentic mining ghost towns. It’s worth the side trip. The Sandon Museum contains artifacts from the town’s heyday, when it had 5,000 residents, trolleys, bars and dozens of brothels. Back on 31A, we reach the bucolic town of New Denver on the eastern shore of the lake. We put our feet up on the porch and savoured the hand-made gelato at Sanderella, a snack bar and souvenir shop loaded with hand-crafted jewelry, local crafts and nick knacks. About 20 kilometres south of New Denver, the road soars to hundreds of metres above the eerily quiet Slocan Lake. The viewpoint here provides a stunning vista of Slocan Lake—one of the best views in the Slocan Valley. Next stop, a few kilometres south is the Frank Mills Outdoor Mining Museum in Silverton. As the afternoon sun through the trees casts shadows across the road, the magic of the day settles over us. We wind our way south to intersect the Kootenay River, which will lead us back to Nelson. Along the road, we spot river kayakers and rafters putting in for the float downstream. 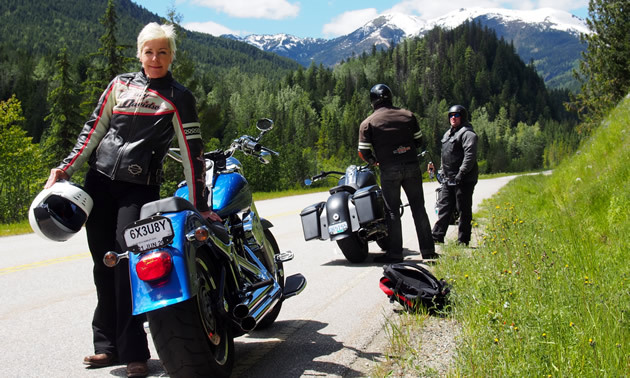 Dianna Ducs, executive director of Nelson Kootenay Lake Tourism, says the motorcycle tour is just one dimension of the Nelson area experience. “There is so much to do when not on the bike: paddling, dining, museums, cultural events, markets, live music,” she said. The next morning, we head east from Nelson again, but on four wheels in a sporty convertible. We hop the ferry at Balfour and then drive the 3A route south this time, tracing the eastern shore of Kootenay Lake. Emerging in Creston 76 dizzying kilometres later feels a bit like we stepped back through the looking glass away from our Kootenay fantasy. The Canadian experience doesn’t get any better than this. 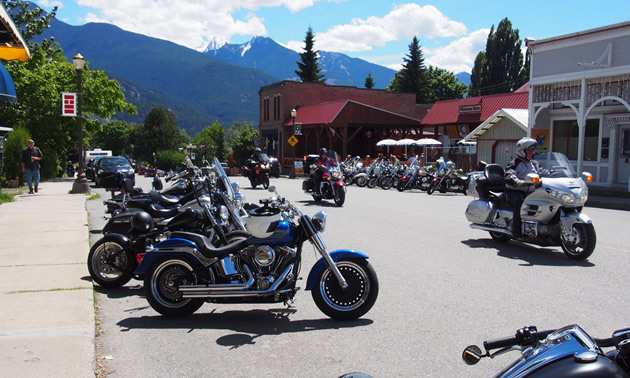 For more on motorcycling routes in the Kootenay region, visit the Nelson Kootenay Lake website. Doug Firby is editor-in-chief and national affairs columnist for Troy Media.